Taste locally made craft beer on an outdoor patio, listen to talented musicians from Texas and beyond at one-of-a-kind venues, and play classic arcade games until your thumbs fall off. These kinds of awesome experiences are just a taste of what awaits in Buda, a quaint charmer that punches above its weight in terms of unique things to see and do. Even though it’s just 15 miles south of Austin, Buda has the kind of easygoing feel that is perfect for a daytrip or a weekend getaway. Read on to discover just a few of the things you can do here that might surprise you and start planning your next visit today. 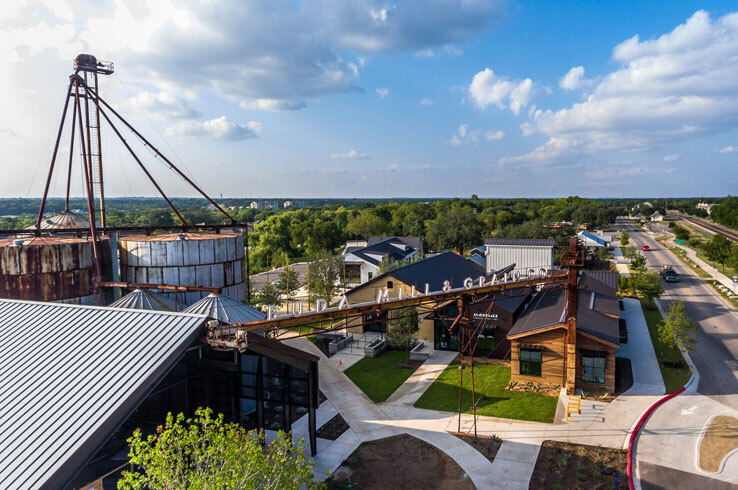 A former cotton gin dating back to 1914, Buda Mill & Grain is now a beautifully restored shopping and dining area that you can hang out at all day. Stroll in the shade of historic silos, browse for the latest in women’s fashion at Ellipsis Boutique, and work up a refreshing sweat at Willow Gardens Hot Yoga. Want to treat yourself? Get a slice of German chocolate cake or a red velvet cupcake at Sweet Cakes 4 U and a cup of coffee at Nate’s Coffee & Cocktails. Once the sun sets, get a glass of wine or a cocktail and admire the view of downtown Buda from the patio. 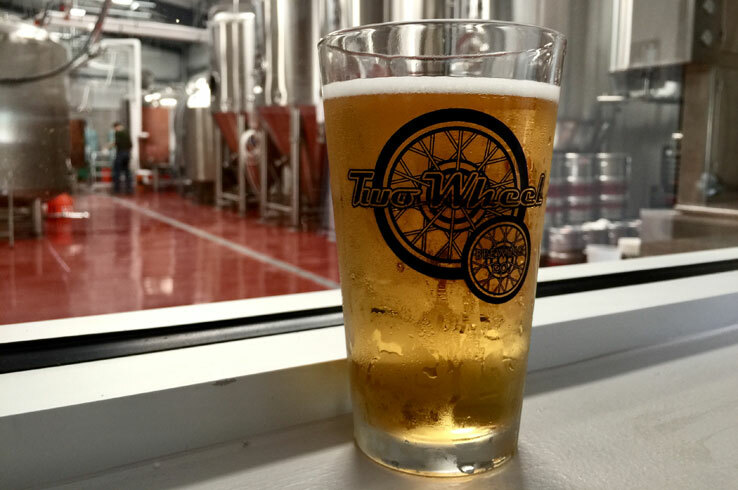 Find a New Favorite Beer at Two Wheel Brewing Co. Whether you’re a craft beer connoisseur or you enjoy the simple pleasures of a tall, cool pint, visit Buda’s own Two Wheel Brewing Co. Stop by the tap room, located about half a mile south of downtown Buda, to try one of the six handcrafted beers, including the light and refreshing Buda-Ful Blonde, a citrusy blonde ale perfect for warm days, and the Race Pointe IPA, a hazy New England-style IPA that tastes of apricot, pineapple, and peach. While the beer alone is worth traveling for, the wide-open patio and all the yard games (Connect Four, anyone?) will keep you here for a while. The brewery even hosts live music on occasion, and popular local food trucks are sometimes on hand just in case you get hungry. Bonus: Two Wheel Brewing Co. is dog and kid friendly, so bring the whole family out for the afternoon. There are souvenirs, and then there’s what you’ll find at the Assemblage Contemporary Craftsman Gallery. Located in the Buda Mill & Grain, the gallery is a showcase of the works of living American artists, many of which live here in town. 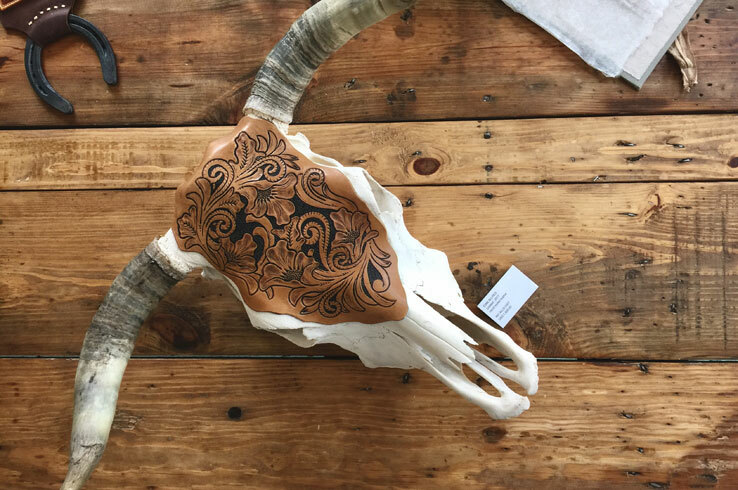 Check out the whimsical pottery of Buda’s own Fraser Harris alongside an array of vibrant paintings, distinctive jewelry, and furniture. See something you like? Much of the collection is available for sale, and the prices are as affordable as the art is eye catching. 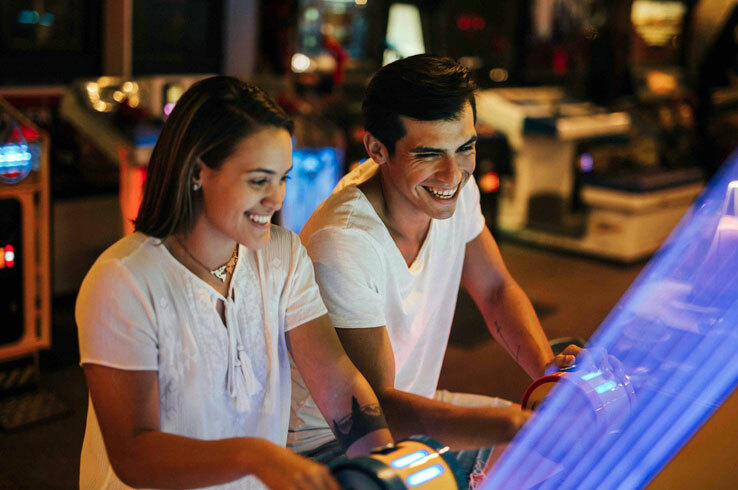 Take on your friends in a round (or two) of Mario Kart, go for the top score on vintage and modern pinball machines, and sip on a glass or two of craft beer poured fresh from the tap. Although classic arcades may be a thing of the past, Pinballz Kingdom offers more than the traditional coin eaters you used to go to. Greet the gnarly dragon perched above the entrance before stepping into the neon-lit arcade wonderland full of classic and modern arcade games, pinball machines, and throwbacks like air hockey and skee ball. While there are enough games to keep you busy, that’s not all you can do here. Show off your aim in the outdoor laser tag arena, where you’ll have all the fun of paintball without any of the bruises. For some high-impact fun, get behind the wheel in the bumper car arena. When you need a break from all the action, savor a beer in the traditional German-style beer garden or something delicious from the tavern. When you’re recharged, step back into the arcade to play something you haven’t gotten to yet. With so many machines, that will probably take you a while. Follow your nose along Buda’s Main Street and you’ll have a hard time choosing where to eat. That’s because this town is truly fit for foodies with its long list of one-of-a-kind restaurants. 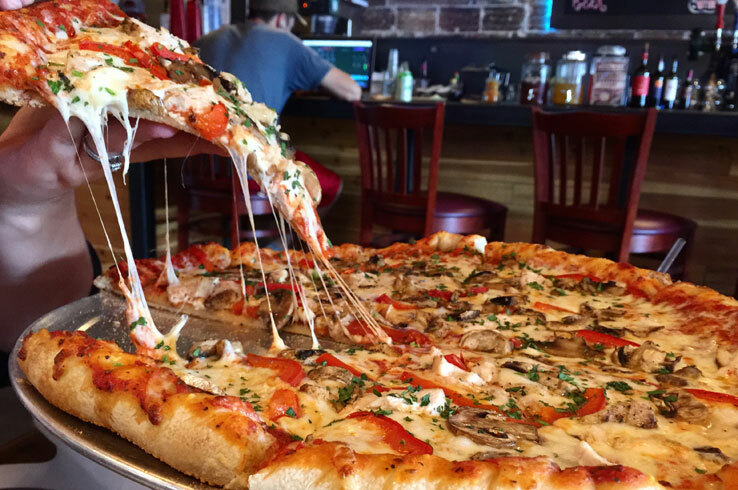 Sink your teeth into handmade New York-style, Sicilian deep dish, or even gluten-free pizzas at Main Street Pizzeria, a local go-to spot for pies, sandwiches, wings, and craft beer. At Brooklyn’s Down South, you’ll take in the historic and upscale ambience as you tuck into chicken and sausage gumbo, red beans and rice, or a juicy half-pound burger. With a menu that includes Cajun, American, and Mexican fare, plus an extensive selection of cocktails and beers, you’ll leave well satisfied. Finally, you can’t eat in Buda without visiting Helen’s Casa Alde. For nearly 40 years, this local dining institution has been a hotspot for straightforward—but oh, so delicious—tacos made with fresh homemade tortillas. Order up a few breakfast tacos to start your day like a local, or swing by during lunch for some enchiladas and chalupas. All of this is just an appetizer to all the fantastic dining that Buda has to offer, so make sure come hungry. When you’re looking for a rocking good time, Buda is the place to be. Take in the relaxed atmosphere and top-shelf music from talented local performers at any of the town’s three one-of-a-kind venues. 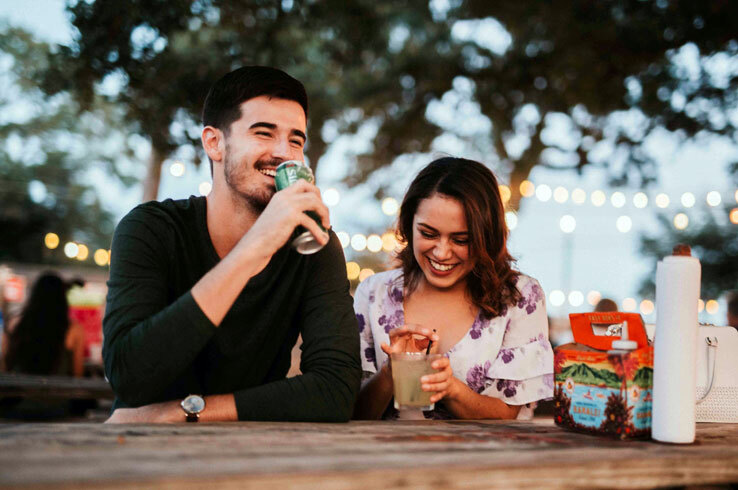 Enjoy cold beer, tasty food, and live music at Buck’s Backyard, a two-for-the-price-of-one hangout spot with an indoor stage for intimate shows along with an outdoor amphitheater for larger performances. Meanwhile, Willie’s Joint combines beer, cocktails, good old-fashioned Texas barbecue, and plenty of music in a renovated 1940’s ranch-style house surrounded by historic oak trees. Tavern on Main also welcomes local, regional, and national acts to its indoor and outdoor stages throughout the year. Since these venues are so close together, it’s easy to roam from one to another as you listen to some of the best acts in Central Texas. Lined by historic brick storefronts on one side and a set of railroad tracks on the other, Buda’s Main Street is the picture of small-town Texas. 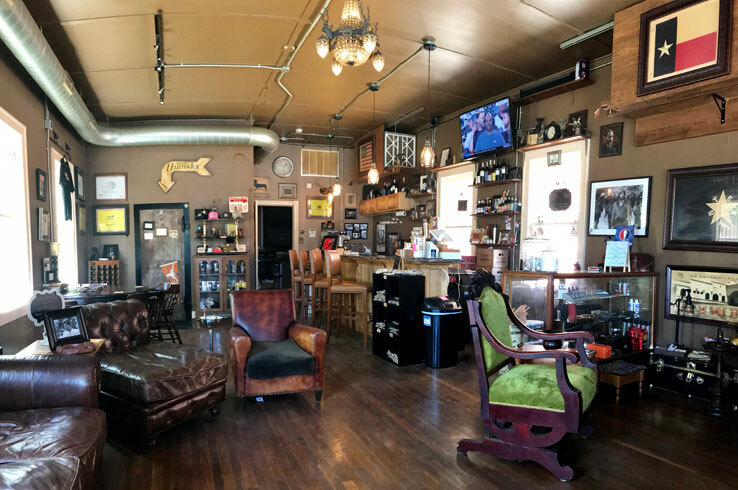 Look past the many bars and restaurants and you’ll discover one-of-a-kind treasures, like a humidor in a historic bank vault and an eclectic antique store located in a former movie theater. The humidor resides within The CigarVault, home to an extensive selection of cigars, beer, and wine to enjoy on the secluded patio out back. For hand-selected home décor that is elegant yet inviting, stop by Thatcher, a locally owned boutique. Towering above all the other buildings in downtown Buda, the Old Town Buda Antique Mall’s three floors are filled with antiques both curious and spectacular. A Victorian-era electro-shock therapy box and a taxidermied white albino squirrel are just a two of the oftentimes outlandish things you’ll unearth here. The store itself is organized by era, meaning a visit here is like exploring the lives of people across different eras and generations. Who knows what you’ll find? Situated just south of Austin, Buda’s small-town vibe makes it feel like a world away. But don’t let that fool you; there are an endless number of fun things to see and do that make for the perfect weekend getaway. Learn more about Buda here.